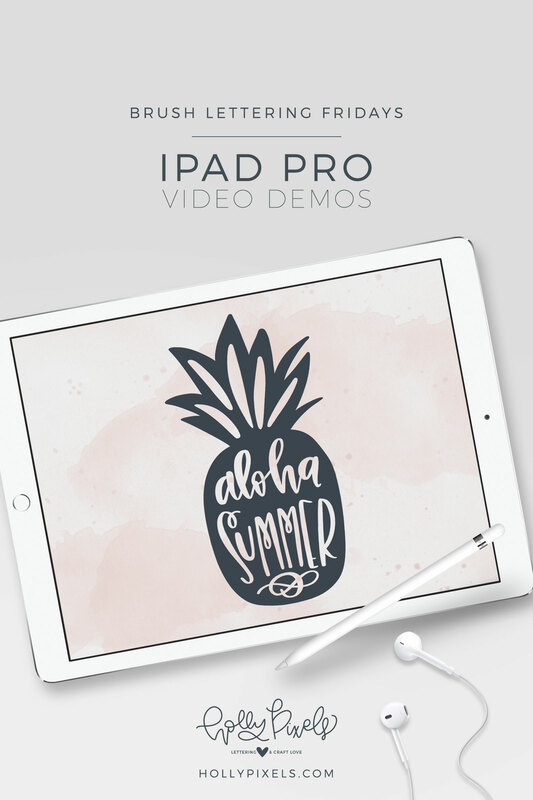 I’m so excited to be announcing my brand new, FREE iPad Brush Lettering course. I will be teaching you the basics to the more advanced levels of flourishing and bounce lettering in this free course. You got an iPad Pro and Apple Pencil for Christmas but you can’t get your lettering to look like those super popular Instagram posts. I mean, they make it look so easy! Sad Trombone! The good news is that it’s totally free. You just visit the course page and sign up and it will give you immediate access to the course videos. What Will I Learn in iPad Brush Lettering? You’ll get access to 18 videos. 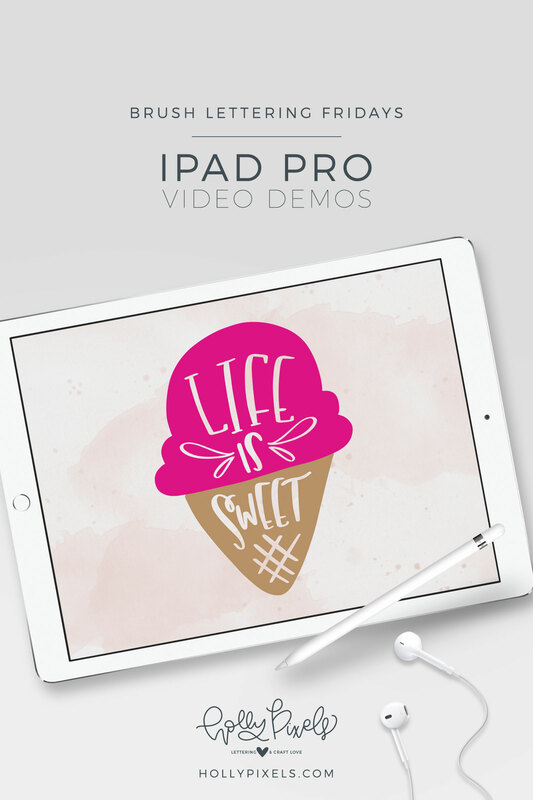 Gain more knowledge about the Procreate App and how to be more efficient with it. 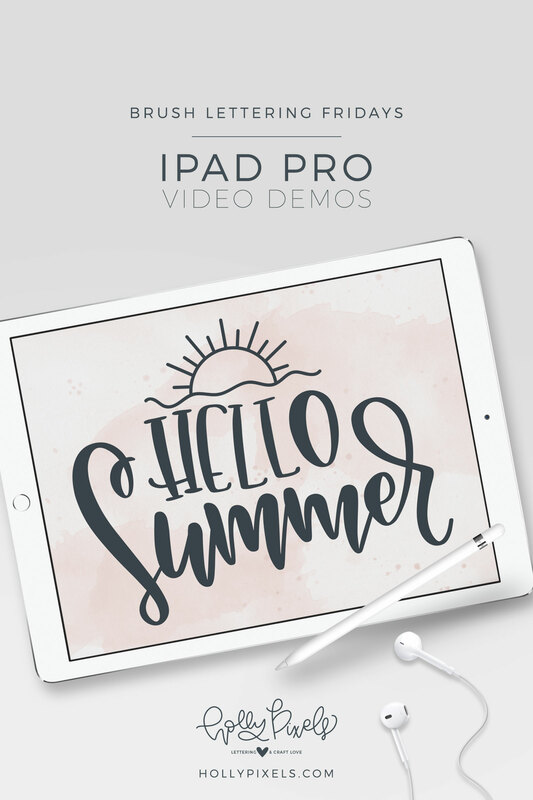 Understand how to hold the Apple Pencil for pressure to form brush lettering strokes. Watch me letter so you can improve your skills. Learn flourishing and bounce lettering. Create 3 projects with me. Discover how I vector all of my lettering using Adobe Illustrator. “Holly, why are you teaching this for free?” Because I can’t take the knowledge with me. I’ve spent several years studying lettering and plenty of time in college learning typography with my graphic design degree. I want to make it easy for you to access all of the stuff you’d probably find for free on the Internet anyway! I’ve also built a gorgeous PDF workbook and tons of Procreate practice guides if you’re wanting to take things to the next level. These are in the shop for purchase here. 26 .PROCREATE file Practice Guides to Letter on Top (These will only work for the iPad Pro due to the size – older iPads don’t have enough RAM). 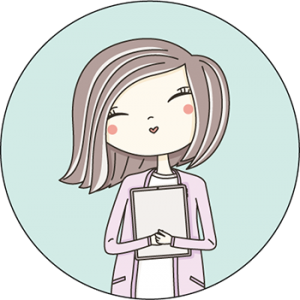 It’s time to snap out of that funk and stop comparing yourself to others! 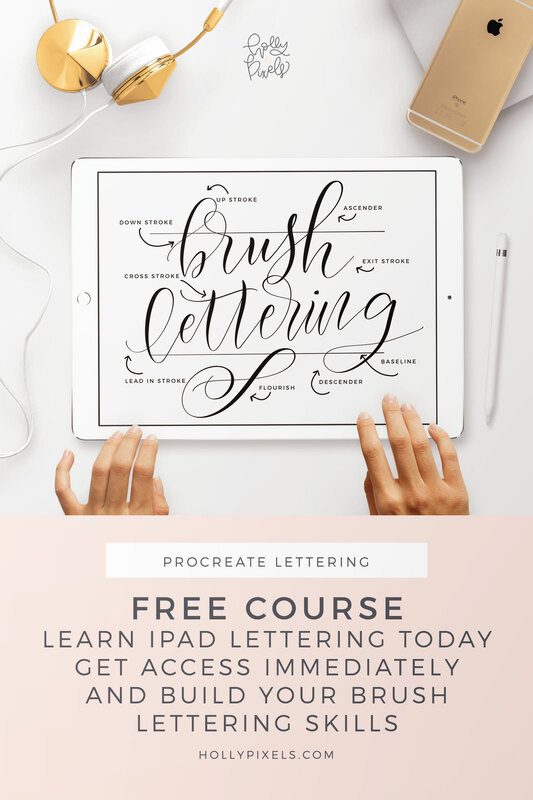 My iPad Brush Lettering course helps you build your skills and encourages you to keep going so you can letter EVERYTHING! I have iPad 6th generation will I be able to use your Procreate practice guide. You mention it is good for iPad Pro. Please advise. This is a Procreate issue, not my guide. Mainly because other models of the iPad that don’t have enough ram may not be able to open files with many multiple layers. If you don’t have a lot of memory on your iPad, Procreate can crash. The layer limits in Procreate exist to prevent your Procreate from crashing when it tries to do more than the iPad can handle. 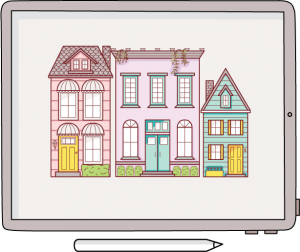 These limits vary according to canvas size and the model of iPad you’re using. If you have the iPad 2018 release or an iPad Pro you are fine with my guides as the layers aren’t too many for those devices. I cannot find the companion guide for the Procreate course on YouTube. I have tried the link on YouTube, the one on your website, and I’ve tried searching for it. Is it no longer available? I’d really like to purchase it if I can! Thanks! Thank you! And thanks so much for all of these invaluable resources, tools, workshops, etc.! I’m new to procreate, although I’ve been doing hand lettering the old-fashioned way for years. Your instruction has been the best I’ve come across! Just FYI – the link to the workbook that is in your YouTube videos and the link on your page is a dead end. I tried to comment and ask if there was a new link on the YouTube video, but I guess comments are turned off? Thanks for your prompt response here! Happy Lettering!